When it comes to Mother's Day gifts, there is something to be said for the classic and ever-appreciated option of flowers. From a small, pastel bouquet to a large, brightly-colored arrangement, receiving flowers just has that way of making a person feel special. 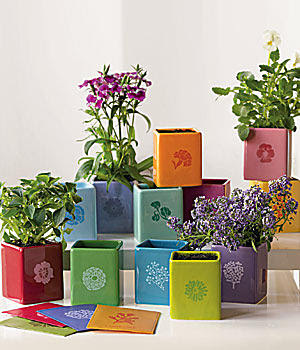 And the site that knows all about a large variety of beautiful flowers, gifts, and more is none other than ProFlowers. Connecting consumers with fresh-from-the-field flowers since 1998, ProFlowers is known for their hand-picked, high quality, beautiful bouquets that will bring a smile and brighten any lucky mom's day. But flowers are definitely not all that ProFlowers has to offer - with everything from potted plants to fruit and snacks to wine to spa products, the hardest part about ordering a Mother's Day gift is selecting between the variety of great options. 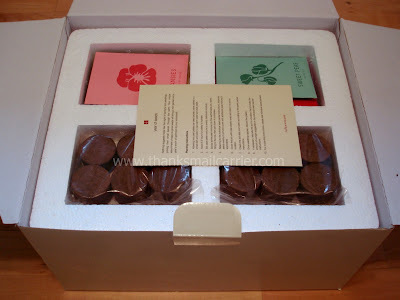 As much as I enjoyed browsing the gorgeous bouquets of flowers and the delicious-looking chocolates and the beautiful jewelry (and much more) that ProFlowers offers, the Unique Mother's Day Gifts category caught my eye and, in particular the Year of Seeds. I love gifts that can be enjoyed for a few days, a few weeks, or even a few months... but the Year of Seeds tops them all! 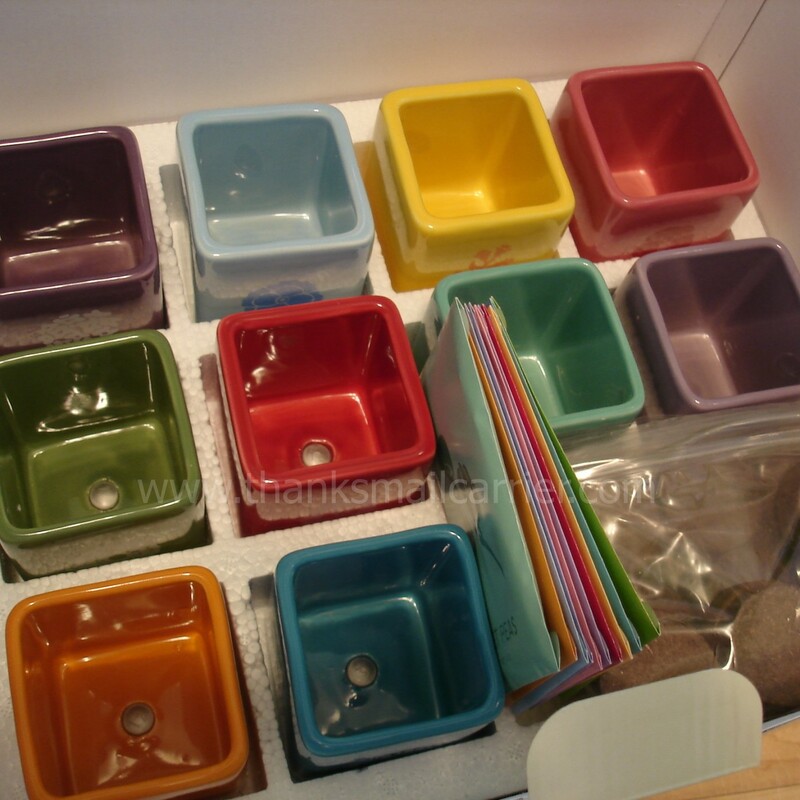 This unique starter kit comes with 12 packets of easy-to-grow seeds that will bring a mini garden right to your windowsill, whether you choose to plant them all at once, or plant a different seed every month to bring color year-round. 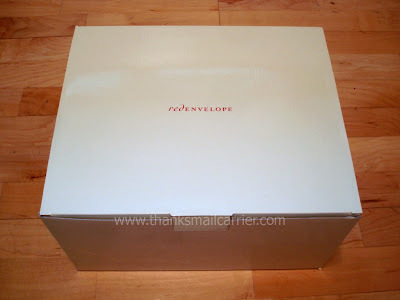 When the Year of Seeds arrived in the clean and classic RedEnvelope box (they are part of a family of brands), I couldn't wait to open it up to get started. As I unwrapped each of the 2½" x 2½" x 3" adorable little pots, my husband walked by, peeked over my shoulder and commented, "That's cute." For someone who is never a fan of my plant/gardening attempts, that meant that he really must have thought the Year of Seeds was nice! 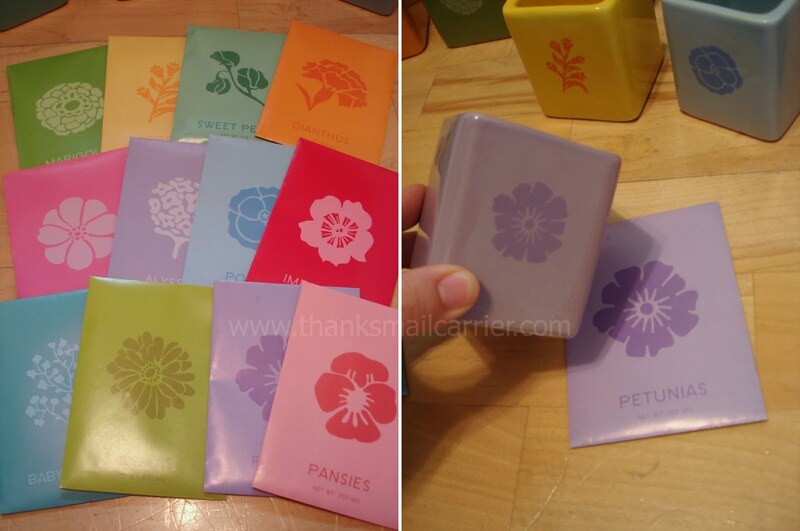 The various seeds included in this kit are petunias, marigolds, pansies, lobelia, alyssum, zinnias, impatiens, baby's breath, dianthus, cosmos, poppies, and sweet peas and I love the way that the image and color of the seed envelopes matches those of the pots. For someone that can't tell the difference between a petunia and a pansy, that was a big help! 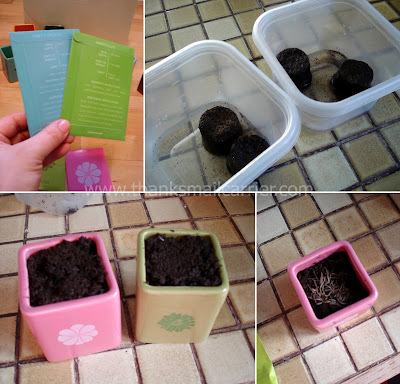 Preparing my first two pots was simple, as I was easily able to get the soil hydrated and settled in with the seeds and ready to start growing. The instructions say to continue to water according to the recommendations for the seeds and to keep them covered in plastic until they sprout. So far, so good! I love the idea of this kit and I can't wait to see my pansies and zinnias start to grow and bloom. 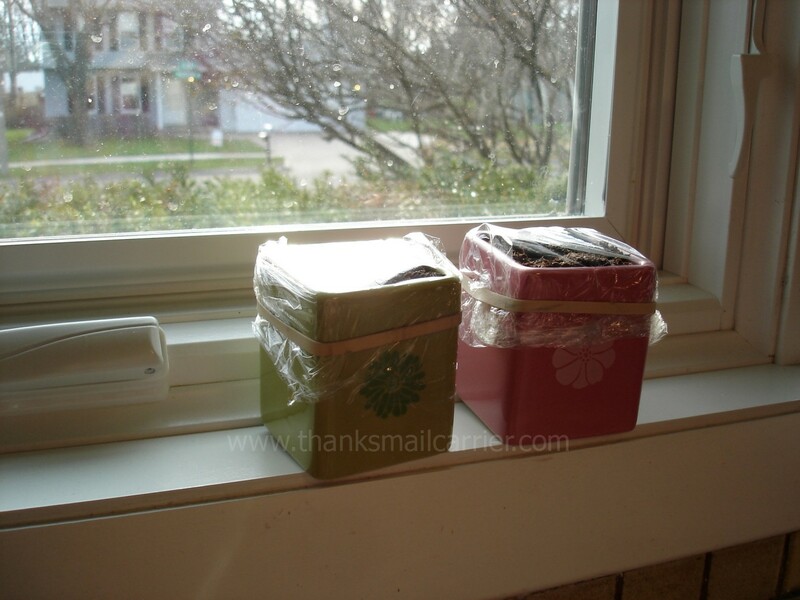 All that will be left to do is see my windowsill come to life and then decide which flowers to plant next! For a gift that keeps on giving month after month, the Year of Seeds is a unique and great idea. Extremely easy for anyone to follow and enjoy, this could even be ordered ahead of time (it retails for $59.95) and you could have the first pot planted and ready to give to Mom on Mother's Day. The rest all store perfectly back in the box waiting for future months! From flowers to treats to gifts, ProFlowers is your one-stop site for Mother's Day. They have floral options in every color and size and something to fit your recipient as well as your budget. There is even a coupon page dedicated completely to bringing you deals on free vases or free delivery, discounts off of your order, and much more. One lucky person will win a $50 gift certificate to ProFlowers! To enter to win: Visit ProFlowers and tell me which of their beautiful items you might spend this gift certificate on if you win. 1 Extra Entry if you head over to A Mom's Balancing Act and enter to win a $50 gift certificate to ProFlowers over there as well! 1 Extra Entry if you Like ProFlowers on Facebook. 1 Extra Entry (per giveaway entered) - Enter any (or all) of the Celebrating Mom giveaways (Celebrating Mom giveaways ONLY) running on Thanks, Mail Carrier for the duration of this giveaway. 2 Extra Entries (per follow method) if you follow me with Google Friend Connect, subscribe to my RSS feed, subscribe to Thanks, Mail Carrier by email or become a fan on Facebook. 3 Extra Entries if you have our Celebrating Mom button up on your blog. Please leave an address where it can be found. 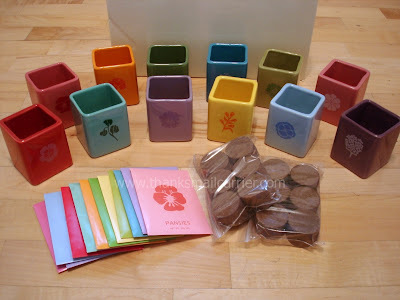 3 Extra Entries if you blog about this giveaway linking back to this post. Please leave an address where it can be found. Giveaway will end on May 13th at 11:59pm CST. Do me the favor of leaving an email address or making absolutely sure it is visible in your profile, I have to have a way to contact the winner. The winner will be chosen by random.org and announced here as well as emailed and will have 48 hours to contact me or respond to notification or a new winner will be chosen. This giveaway is open to U.S. residents only. A big thank you to ProFlowers for providing a Year of Seeds for me to review as well as a $50 gift certificate for one lucky giveaway winner. The opinions shared are my own and honest and if you really need to see more, click here to see how I roll. I might get the White Dendrobium Orchids. entered to win at a mom's balancing act, too! I would get Two Full Dozen Giant Dipped Fancy Berries. Also entered the Wind & Weather Massage Chair giveaway. Also entered the Kaitlin & Kylie's Gourmet Treats giveaway. Also entered the Kalorik giveaway. Also entered the Vintage Pearl giveaway. i'd get the Mrs. Fields® Cookie Basket - 100 Nibblers for my husband cuz he loves them! I love the Pink Anthurium Plant! thank you for another lovely giveaway! i love the family necklace! and i'd wear it always...even while i'm hiding in the closet eating my kaitlin and kylie's yummy mother's day sampler all by myself! I entered the Kalorik 15L Toaster Oven Giveaway! I would get the "Indian Hawthorne Bpnsai". Very pretty. Thank you for the chance to win! #1. I am an email subscriber. Thank you for the chance to win! #2. I am an email subscriber. Thank you for the chance to win! 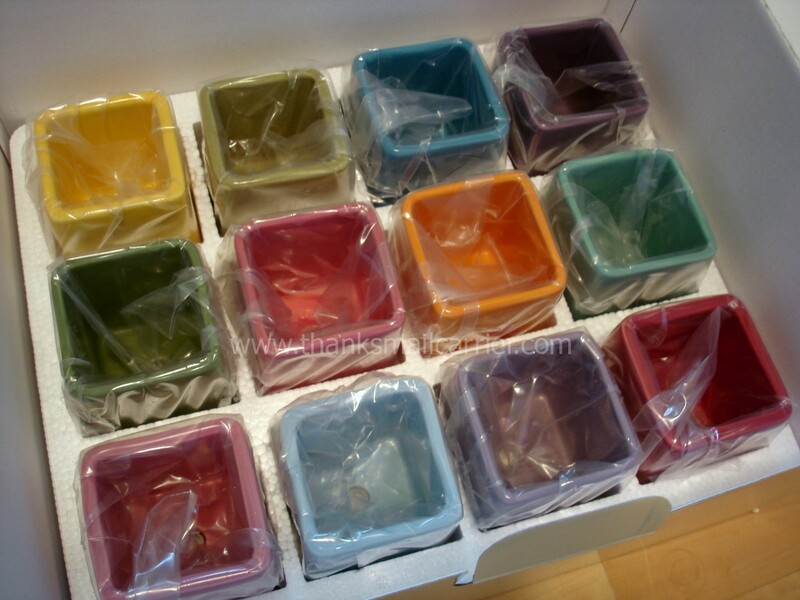 I entered the "Kaitlin & Kylie's Gourmet Treats" giveaway. Thank you for the chance to win! I entered the Pro Flowers giveaway over at A Mom's Balancing Act. I entered your CSN Stores giveaway. I entered your Shabby Apple giveaway. I entered your Vintage Pearl giveaway. I would get the Spring Blooms bouquet for my Mom. Tawnda M Like ProFlowers on Facebook. I'd love to gift the Gerbera Daisies ~ that's what I'd spend it on. I follow via Google Friend Connect 1. I follow via Google Friend Connect 2. I'm an email subscriber 1. I'm an email subscriber 2. I Like you on Facebook 1. I Like you on Facebook 2. I entered your Shabby Apple Fashionable Dresses Giveaway. I entered your CSN Stores $75 Gift Certificate Giveaway. I entered The Vintage Pearl Giveaway. I entered your Kalorik 15L Toaster Oven Giveaway. Love the Purple Tulips Bouquet! What Does Your Blog Mean To You?